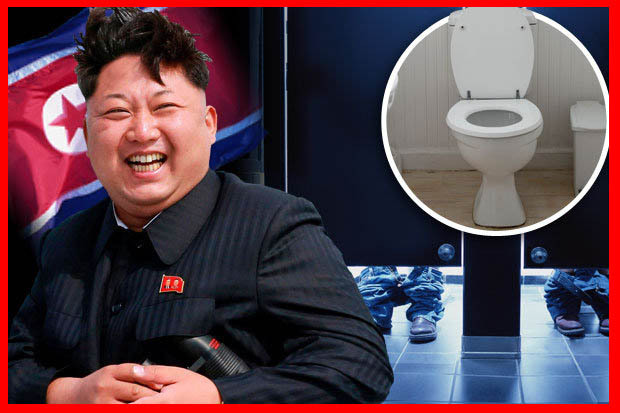 Uncategories Kim Jong Un brings his own toilet to summit with Trump !!! Kim Jong Un brings his own toilet to summit with Trump !!! North Korean leader Kim Jong Un reportedly brought his own toilet to Singapore for his summit with President Trump. The newspaper noted that North Korea dispatched an IL-76 transport plane that carried things such as food and a bullet-proof limousine, as well as a "portable toilet that will deny determined sewer divers insights into to the supreme leader's stools." The White House said that first meeting will be followed by an expanded meeting with their advisers as well as a working lunch. Trump began to cool expectations for the meeting last month, and Secretary of State Mike Pompeo seemed to echo the sentiment on Monday.